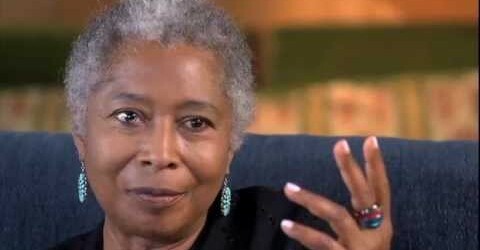 On the 30th anniversary of the publication of “The Color Purple,” Democracy Now speak with author, poet and activist Alice Walker about her groundbreaking novel and its enduring legacy. Set mainly in rural Georgia in the 1930s, the book tells the story of a young, poor African-American woman named Celie and her struggle for empowerment in a world marked by sexism, racism and patriarchy. The novel earned Walker a Pulitzer Prize in 1983, making her the first African-American woman to win the Pulitzer for fiction. Walker explains the origin of the bookâ€™s title and explores some of its central characters and their connection to her own family history. Alice Walker is an award-winning author, poet and activist. Her book The Color Purple was published 30 years ago. It won the 1983 Pulitzer Prize for Fiction and the National Book Award for Fiction, and was later adapted into a film directed by Steven Spielberg, starring Whoopi Goldberg and Oprah Winfrey, and into a musical of the same name. Her latest book is The Chicken Chronicles, and before that, Overcoming Speechlessness: A Poet Encounters the Horror in Rwanda, Eastern Congo and Palestine/Israel. She is set to participate next week in the fourth session of the Russell Tribunal on Palestine. Democracy Now! is a national, daily, independent, award-winning news program hosted by journalists Amy Goodman and Juan Gonzalez. Pioneering the largest public media collaboration in the U.S., Democracy Now! is broadcast on Pacifica, NPR, community, and college radio stations; on public access, PBS, satellite television (DISH network: Free Speech TV ch. 9415 and Link TV ch. 9410; DIRECTV: Free Speech TV ch. 348 and Link TV ch. 375); and on the internet. DN!â€™s podcast is one of the most popular on the web.